College pays, but does the debt? 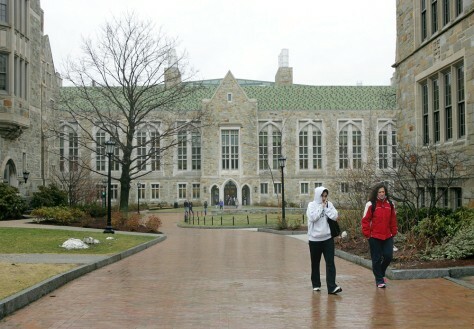 Two Boston College students are seen walking across campus recently. College students are carrying an average of $19,000 in debt by their senior year, according the U.S. Department of Education.